"Harwinton was primarily an agricultural community with many industries carried on in conjunction with farming. Products produced included pitchforks, clocks, bricks, lumber, tin ware, bricks, hats, cutlery, whetstones and barrels. Harwinton was the birthplace of Collis P. Huntington, who would become one of the greatest railroad builders the country would ever know. Theodore A. Hungerford was also born here and would become a very successful publisher in Chicago and New York. 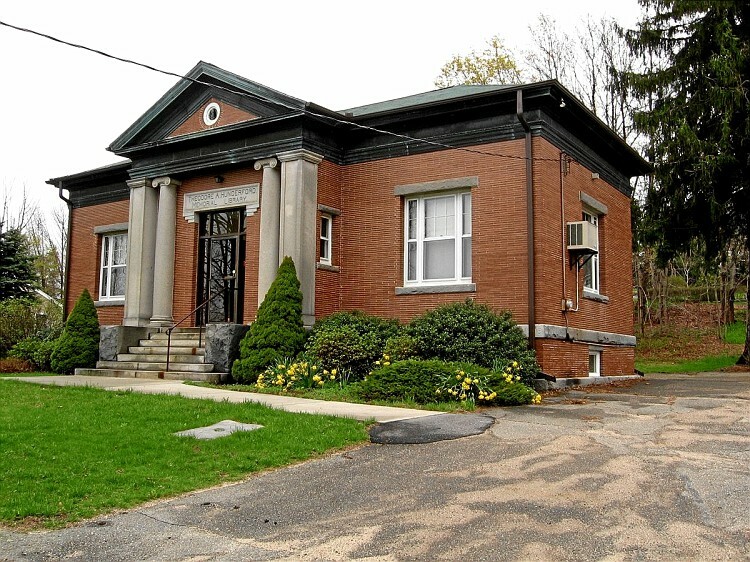 He left a trust which was used to build and maintain the town's first library. The beautiful Carnege style building is now used to house the T. A. Hungerford Memorial Museum. The Harwinton Historical Society has restored a one-room schoolhouse and it, along with their barn museum, is used to demonstrate early life here including many early artifacts. Throughout New England there are numerous stone walls but none are prettier than the miles of beautiful stone walls here in Harwinton. Harwinton is the gateway to Litchfield County and in 2012 celebrated its 275th birthday. Over those years the landscape has certainly changed but one thing that will never change is the community spirit of a New England small town. Throughout the seasons there are numerous community functions that keep this spirit alive. It's a great place to visit and a wonderful place to call "HOME"."